How many times has your social media consultant, the local chamber of commerce, a conference presentation, and your favorite blog encouraged you to create a Facebook fan page? “It’s the largest social networking site, and you’d be crazy to ignore it!” someone cries out to you. “You can reach 800 million people with a single update!” urges another. “Your fans want to identify with you!” insists the third. What do you do? You follow their encouragements and create a page. You promote the heck out of it — and your friends, their friends, and their lovers click over to “like” the page. Whether you have 100 fans, 1,000 fans, or 30,000 fans, you notice that every time you post an update that is shared among those fans’ walls, a small percentage are liking, commenting, and sharing. You grow frustrated so you change the format of the updates. You post pictures because you know pictures speak a thousand words. You embed video but they don’t go viral either. Same response. You can understand that 90% of blog readers are lurkers but you don’t understand why you can’t tap into the Facebook market. You begin to hate that consultant and those blogs. I don’t blame you. But it’s not their fault. Part of the blame rests on your shoulders for focusing on the number of fans. That’s just a number and numbers don’t mean as much as names. Anyone can click a like button; it takes a fraction of a second. Focus on the fans who interact with you, whose names frequently like, comment, and share what you post. Focus on the fans who love you and not the ones who merely like your page. The rest of the blame rests with EdgeRank, a Facebook algorithm that determines what every user will see in their news feed. Based on the three variables of affinity, weight, and time decay, it is this formula that is the cause of 84% of your Facebook fans to never see your page updates. Simply stated, Facebook assumes the lack of your fans’ liking, commenting, and sharing is enough reason to not show your updates to your fans. Genevieve Lachance, a virtual assistant to businesses, provided the following infographic to explain EdgeRank and why it’s so important. 1. Try to get more likes and comments with every post. Every post that doesn’t get responses lowers the value of your page. Ensure everyone who posts to your page knows this and is capable of doing the next bullet item. 2. Explicitly tell people why they should like and comment on your posts. This directly correlates to increased metrics. 3. Consider Facebook advertising or showing your page posts as ads to increase the number of fans. Then increase your engagement tactics so you can reach a higher percentage of new fans. 4. If nothing works to engage fans on your Facebook page, remember that lower visibility may increase your cost per customer and directly correlate to losing profit potential. Maybe your page should die and you should use Facebook advertising alone to send people to your website to reduce the number of steps and save costs per customer. If your not getting the “likes” I can see why the value of your page does not increase. Its all about engaging the visitor..same concept as your blog or static website. It’s different than engagement. Websites and blogs are forms of pull marketing. Forgetting about RSS etc, you as a person need to visit it or otherwise hear about it to read it. Facebook pages are forms of push marketing. Someone is sending a message to you. And EdgeRank adds a tickle to that push, assuming if you are not pulled by it then you don’t want to see it. OTOH maybe just lots of folks are getting social media overload. I asked my daughter about pinterest recently and she said she wasn’t interested in another social media site. What this article suggests to me is that these fan pages are kind of skewed to the corporations and larger businesses that have paid staff to keep their social media updated and engaged. But, Deb, ask your daughter if she would like to virtually shop for purses or shoes or scarves without leaving her computer chair. She could visit pinned boards about shoes, read short descriptions of them, see prices, and one-click shop to the web page to buy what she wants. She can’t do that on other social sites. But that’s Pinterest. Telling your fans how their actions helps you stay in business will probably work; they want to see you succeed. This is a really great breakdown; it is not very well known information. Thank you for making things a whole lot easier on your fellow bloggers. Take two identical blog posts. One asks you if you have any questions. The other doesn’t ask. You’re more likely to respond to the question, right? I would. Same idea on Facebook. Ask your fans, tell your fans, be honest. Even personal users are affected by EdgeRank, not only pages. I guess the solution here is to use tactics where your connections will be compelled to interact by sharing or commenting on your posts. Pictures speak a thousand words, remember. You’re more likely to notice a picture in your news feed if everyone else has text words, right? Wow – Fantastic post. Really interesting topic that you’ve chosen for the post, And the info-graphic images you’ve featured is brilliant and really informative. Thanks for sharing the fantastic post. Will be sure to make a return visit to your pages to see what’s new. Thanks for stopping by, Anton. I’m sorry but I cannot get into FB.. I know it may be a big mistake (biz wise) but it’s too much of a time waster. Anyone else agree, or am I the lone ranger? Facebook is only a mistake for your business if your fans are already there. Otherwise you’re not making any mistake. Love your post. Certainly learned a lot. Facebook is just popular, but it cannot really help you that much on your seo tasks. Thanks for chiming in, Elle. Could you give some examples on how to do this without sounding needy? It’s a great idea, but I can’t wrap my head around how to word a post that would utilize it. That was a paraphrase of someone else’s words — but essentially, Veronica, if you are going to share an update that you want to go viral, you need to ask people to like, comment, and share it. Because that’s the only way it will go viral. OTOH having just got your LinkedIn message … I had already shared this post twice. To two specific people I know who use FB to promote their product or service. I shared it, NOT because you asked me to, but because I rely on you to bring me information I need, which I don’t find elsewhere. I use you as a curator for a chunk of the blogosphere from which you glean the raisins for me. I couldn’t agree more with that response. Simply asking is the best way to get shares. BTW Ari I was directed here via LinkedIn. Veronica, I incorporate the request into the update by saying something like, “If you agree, click ‘like!,” “Click ‘like’ if this has ever happened to you,” “All those in favor, click ‘like’.” You get the idea… it’s a casual invitation, asking for a response to the *message*. I’ve also found, as this post points out, that I get much higher shares/likes with images. I also make a point to view the friend/public shares of my Page posts and “like” and/or comment on those, so that the person knows I value and appreciate the share. Being new to Social Networking and, in particular Facebook, I have found this blog to be extremely informative at washing away some of the mystique behind how it can work best for you and for business. I shall certainly take the advice on board and look forward to progressing and improving my social networking skills in future! Thanks for your kind words, Sophie. You are perfectly right. Getting results in terms of conversion rate using Facebook is more simple in theory than in practice. From my own experience it is very hard to engage the fans into a direct relationship, to promote the last offers or projects. How would you want the company to connect with you? Why would you feel inspired to like a post? Do it. Terrific–and really useful–post Ari. (My son’s name, too!) Heard about it via Mari Smith. Really valuable information–thank you! Thanks for stopping by, Susan. Your son’s in good company. I just ran two different FB ads for a client — one sending folks to a website, the other to the Page to get Likes. The one sending folks to the website has out-performed the Like ad so far. If the ad was explicit in the wording of, “Click here to like us,” it’s no wonder the ad was poorly received. Word of mouth will always outsell word of an ad. Five years ago an editor friend of mine forced me onto Facebook, much against my will. In the past month, Facebook referrals have accounted for 30.57% of the traffic to my blog about coming of age in a small Midwestern town in the ’60s . I have a list of about 125 groups or fan pages I follow and post links to them when appropriate. The key is to make sure the link is relevant to the group and that not every one of your posts contains a link. I try to maintain a ratio of about two non-linked posts for every one promoting my site to keep from coming across as a spammer. I’m less excited about Twitter. It takes me 140 characters just to clear my throat. Why do you waste time posting your own content on other page walls — and not posting relevant links of yours in the context of a longer reply to relevant posts on those walls? You went around one too many corners on that trip and lost me. I thought that’s exactly what I’m doing. 1. I write a blog entry that is of interest to a particular group. 2. I post a link to my content to that group. 3. Readers follow the link back to me and comment on my post both in the group and on the blog. In slightly over two years, I’ve written 756 posts that have garnered 6,566 blog comments, some that are longer than the post they are replying to. I’d say that’s a pretty good return. What you call “waste,” I call building followers. Am I missing what you were trying to explain? OK now you lost me! Before you mentioned pages. Now you mention groups. Your return on click will be higher with a group than a page — for the simple reason group members are notified (unless they turn it off) when there are new posts or comments in that group. But page fans are not notified when other fans add posts to the page wall. And in the new timeline layout, non-page updates appear in a condensed section in the top right. Therefore, Ken, if you’re following along, you will have a better return having a contextual link as part of an existing page’s update’s comment and not your own update on their page. I think it’s funny that people freak out and say ‘oh man! that post has 4,000 likes!’ Well, when the person has 4million followers, that’s really not a very responsive group. I’d rather have 1000 followers and 100 likes for for 10% than a lower rate. That means that I’m doing something right. You need to discover your own ROI, Brendan, in alignment with your own mission and objectives. If anyone wants more in-depth understanding about Edge Rank, I HIGHLY recommend visiting Jeff Widman’s http://edgerank.net. Good Article Ari. Quality over quantity never fails. Trash in trash out. What has worked for you most since fb changed? Yup, i do. While I agree 1,000% with the newly sited article, I use FB as my tailored news source and i have been getting annoyed as of late because I have noticed that I am not getting all of my news!! Where is my Mashable, InformationWeek, and other fave’s post? As the other commentor wrote, I am typically a passive reader to those sites. I guess I will start sharing their articles if I want to see their daily streams. Thanks again. If you like their news content, why not passively like or more aggressively comment? You don’t have to share to your friends. Just like them. Do it until they start appearing back in your feed. And if the news’ creators also reply to comments on their wall, even better. Great post. I love facebook, but feel quite disheartened by the lack of interest and response from my likers. Over the last couple of days I’ve changed the timings of when I post and am asking questions. I haven’t noticed any change in interaction as yet, but fingers crossed. Something to think about is to send your best fans (those who buy from you the most, like you the most, etc) a friend request — and add them to a specific friend list. That way you can interact with them as a friend — and they may be inspired to interact with you and your page more. Also, while logged in as a page, do you like other pages? Being logged in as a page and liking other pages, I do not understand. When I revert back to my profile will the like not revert back too? Unless you unlike something, the like remains. I’ve never thought about doing that before. I’m not sure about that as on a personal level I would tend to ignore friend requests from people that I don’t know in real life or interacted with via twitter etc for quite some time. It’s really a bummer because it clutters one’s personal page with a lot of pages one often finds prevents seeing posts from close friends. I know we can make ‘lists’ but yikes! You know you can add pages to friend lists, right? Can you still add Pages to friend lists? Any time I try – via editing the list and choosing Pages from the drop-down menu – it returns No Results. You need to Like the page to add it. For instance, suppose you like XYZ. You then click the ‘home’ link in the top right, then click the applicable friend list from the left sidebar, then start typing the name of XYZ on top of the box where it says ‘+Add to this list.’ Voila. Make sense, Michele? Hmmm. I did know that when I click on my ‘lists’ I go to a different page, is that to what you allude? Just shared this on my facebook page. I know a lot of SME’s get disheartened feeling like they are talking to no-one, great tips and excellent graphics to explain edgerank . People lurk a LOT, I’m always amazed when I speak to people in person and they know all about my posts etc. and never comment or like. I need to be more specific I think with asking for the like. Hahaha yeah. I frequently see friends who read my Facebook updates but never interact so I presume they don’t know anything but read everything. Goldfish bowl syndrome. Bit creepy if you forget, and suddenly see all those LURKERS watching your every word. This actually makes me angry. I don’t have a page with fans as I am not marketing anything. But when I “like” a page, I assume I will get all the updates from that page. That is why I like it. Why is facebook deciding what I need to see. God I hate that stupid fricken site. My goodness…hate is a strong word for the platform which you are obviously using. Facebook has its quirks and anomalies, but if we are using it…we aren’t the designers and frankly, you can’t please everyone. Don’t use it if you ‘hate’ it. Do you truly like pages to see their updates? Or, in the words of Jeff Hurt, do you like pages to identify with them? Thanks for this post. I have just come back from training with a client and this is exactly what we were speaking about : engagement. He was worried that his posts would be spammy and was sending out a few a week. I’ve sent him a link to this post and shared it via MariSmith on FB. Whether his posts are spammy may or may not be true. It depends on context. Well, of course, I realise that. He posts quality content to an enthusiastic Fan base. That’s a great post Ari – thanks for sharing your thoughts (and Genevieve’s cool infographic too!). I like your idea of mentioning to fans that if they want to be sure to *see* more of your posts they will help that happen by interacting a bit more – I know many people don’t realise this – of course – you have to hope they will see the post where you explain that in the first place lol ! It’s a shame that Facebook almost makes this a self-fulfilling prophesy – low engagement = less seeing it = lower engagement….. I guess that’s FB nudging us more towards the pay to be seen model. Very few people truly understand the true worth of engaging your fans/followers on social mediums. Kudos for an informative post Ari! Thanks for this great info 🙂 Now,i have got ideas to recover from it. Definitely agree RE: overblown importance of “numbers,” especially when ‘engagement’ is what it’s all about. Unfortunately, with the way EdgeRank works, actually favors Facebook most — causing those Pages wanting to be “seen” to invest in Facebook ads. I know about EdgeRank, but why does FB bother? What would really be the difference if all our posts reached all our friends, or all the posts from pages (brands) we like reached us? Never understood the need to filter out info from the sphere we created and our friends/fans approved in the first place… Who’s with me on this? The average FB user has 140 friends and likes a few pages. Imagine everyone posted an update at the same time. Will you truly not feel overwhelmed wanting to see the updates of your best friends when everyone else is sharing? If you want to reach college students where you live, why waste time and money online — when you can tack posters in local coffeehouses and around campus? Maybe you can find some students who like your product and can evangelize on your behalf. I am not surprised to learn that 90% of the people on Facebook are lurkers. Just like the iceberg, it is the 10% of contributors that show. I have to remind myself of the fact that most people are not active participants. They are wannabes, or people just wanting to know what is happening. The trick of course is to join the 1% who are making the splashes. EdgeRank looks like a good tool for assessing your position. Your recommendations and Brian’s four points are well-chosen and make perfect sense. Great post, thanks for sharing. I’m actively trying to get to grips with social media but sometimes I just feel like the blind leading the blind!!! Thank you the image is very fun to read. I actually saved and downloaded it just for reference. Utilizing Facebook for your business is really a perplexing. And seeing that much of these is true, you really can’t say how you can attract followers for your brand. Internet Marketing is a competition where you actually have to fight with yourself to succeed. EdgeRank is so frustrating… Especially as a consumer. You Like a page and then if you don’t engage there for a while you might not see the updates and you ultimately may miss something that you would have otherwise enjoyed. Understanding EdgeRank is a must for Facebook success. When a client asks for a Facebook page, I give similar (but very general) info. 99% of them seemingly still expect the floodgates of digital demand to magically open on their business offer…just from launching a page. So, I get “fired” a lot. Great info and planning advice here. This explains why my newsfeed has become so boring lately. I don’t care to hear from the people who are all in to social media; I just like seeing what friends are up to. And FB hides that in favor of the clique of most active. The posting time an call to action seem too make the difference. 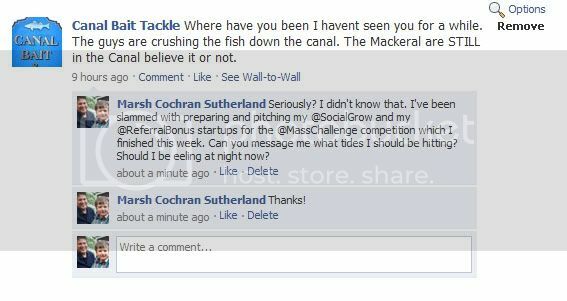 On personal profile Facebook updates, I get better response from text updates than if I post a photo. This seems backwards considering I’m a photographer. That gives me two things to work on for better reaction from friend connections. For Facebook Pages, photos of any kind almost always gets likes, but it takes a decent set of engaged fans to make it a decent return on action. A clear reason to ignore Edgerank is that it is life come to bite you. It puffs you up when you are up, and beats you down when you are down. It is a fickle mistress that tempts you along with promises and then dumps you when you don’t cut the mustard. It cannot be beaten, only chased. Following it makes for a gut-clenching life. Better to ignore it and enjoy life. Better to use whatever spark of creativity you have to do something you enjoy rather than chasing that pile of garbage. Ok If 84% of your fans are lurkers than still there are 16% who really are true fans of you. trust the possibility. Why do you think Genevieve Lachance suggests in 9. Post directly from your Facebook page. Avoid using 3rd party apps…? Does EdgeRank penalize the users of apps? I don’t know of a penalty — but the key point there (for me) is your Facebook audience is different than your other online audiences. Pictures are helpful, for instance, to help draw in your fan who will then see that picture among a sea of text on that news feed. If you’re sending the same content to Facebook and Twitter, for instance, you’re losing out on that picture. I run five FB pages with fan bases ranging from 150 – 32,000, and my experience is that since the implementation of the new timeline, it doesn’t matter WHAT one does – Facebook has become totally random. Thanks for the heads up on this post. I can see why it is so popular as it touches on what so many are not aware of – but need to be. First let’s address lurkers versus those who are actively engaged. Most people make the mistake of believing everyone else is like them and if all those people don’t act it is because they’re doing something wrong. Bloggers are even more likely to feel they can motivate others to action. Sorry to disappoint you, but most people are passive followers. They are never going to act no matter how brilliant your execution because they don’t know how and are not motivated to find out. The general public almost never has much to do with spreading something virally. What goes viral is what influencers SEND viral. The key to getting any algorithm to feature what you share faster to more people is having many influential others who share it soon after it is submitted. That does NOT happen organically and I don’t care who tells you it can because they are lying or don’t have a clue. Influencers are influential because they interact with a huge number of others – both passive followers but more importantly OTHER INFLUENCERS. That also means they are incredibly busy and highly unlikely to see what you want them to see when you need them to see it – UNLESS you give them the heads up on it – as Ari did for me so I immediately came to see this post. Immediately after I saw his message – which is why influencers need to know the best way to reach their collaborators – and NOT assume they use whatever YOU use. They don’t – unless you, as a group, have decided where that will be. If you see something you share is getting traction that is the time to immediately get your collaborators to share it, vote for it, etc. – whatever the social network it is taking off on needs to trigger their algorithm to show it to more people. The better way is to plan the launch in advance and THAT is what you don’t know is happening behind the scenes of things that APPEAR to be organically viral – but are not. They went viral because a group of influencers was enlisted to get that to happen. That is how the people who have huge mailing lists launch products. They get all their other collaborators who also have huge mailing lists to provide something they have sold in the past that is no longer in high demand to offer as a bonus and then they all simultaneously promote the launch to their own lists. You do not have to take my word for it. Simply look up something that launched virally, become a subscriber to all the lists (now most likely blogs) that promoted that launch and the next time any of them puts together a launch you will get messages about that launch from multiple sources. When that happens that will confirm to you that IS how they launch products. That is how you make a book a NY Times Best Seller. That is how you send a video viral and how you make get your ebook featured on a specific device. Regardless of what it is you want to go viral that must start with something brilliant, get pushed by influencers (who are only going to do that if it is truly brilliant), and then hope that the greater visibility your actions provide (because you have tripped the algo that shows whatever you’re PUSHING to more people), triggers them to share with others when they rarely do. That is where TIMING when something gets that greater visibility is so important. You want what you shared to be featured when the greatest number of people will not only see it but also have the time and desire to share it. That means Sunday evening or Tuesday, Wednesday or Thursday during business hours and it DOES NOT MEAN Friday – especially Friday night or Saturday early a.m. – because so many are not interested in doing something online because they have plans to actually DO something in real life. 1) Create something truly worth sharing (or at least that people THINK is worth sharing as sometimes happens with “guru” get-rich-quick products) – and make sure you have in place easy ways for people to share it – ideally one-click share buttons for all major social networks and email. 2) Get your influencers on board, provide them with everything they need to promote for you and a timetable for the launch. 3) Launch at the optimum time when your influencers can push it and the maximum number of general people will see it. 4) Have your influencers start promoting so the general public sees what you are PUSHING – with your pushing it being the actual reason it MAY go viral. 5) As the public starts sharing what you are promoting have your influencers retweet and re-share what they’re doing to reward them for doing it and get more visibility. Nice topic and some great tips Ari. A lot of our engagement problems on Facebook, like you stated, starts with us. I’m not pointing fingers because I’m guilty of this as well but when someone says no one is leaving comments or sharing, I have to wonder how often they are commenting and sharing for their FB fans. Are they using their fan pages to like other pages in that niche? Are they sharing that work? Once we develop those relationships of give and take, we see the EdgeRank issue disappear. Its amazing that i have more than 4000 Facebook fans on my blog but some how they are not visiting my blog regulatory. I noticed that it’s useless to try and reach and engage everyone in your Facebook page, especially as I can count my “loyal fans” who engage and like regularly with one hand. (Boohoo!) So I have indeed started to plan my posts according to what I think might interest them and get them to share things, so I could get more followers through them. The most frustrating thing is, not knowing who has seen your post, if I don’t receive any comments or engagement whatsoever. I had no idea about EdgeRank, but this is welcoming. We specialize in web design and search engine marketing, but WITHOUT an emphasis on social media because we always feel our reach is never enough. Your article has encouraged us to try again! Great article. I appreciated the explanation of the weight given different types of updates and interactions. But,I have to take issue with #9 about not using a 3rd-party program to post to Facebook. This used to be a factor, but reportedly is no longer. I do realize that this isn’t the newest of the posts offered on your site – But this is truly an amazing info-graphic. Thanks for sharing. Comments don’t expire. Thanks for reading and commenting Anton. Interesting your article, the other day a marketer asked me to like his page when I went to his page I saw 3000 likes and every post on his page had no feedback.That’s why I want to do it the other way. I think that a fanpage is about relationship and not only likes. Certainly sheds light onto Edgerank and how it behaves, demystifying the entire process. I have just started ‘doing’ Facebook. I have set up a fan page and really have no idea what am doing…and only have because I thought I should. I put the widget on my site and have had a few likes. I have wondered about advertising, but really don’t know a thing about it either. My close friends who use it, say they never click on the ads or even look at the sidebar, but I know people have had success doing this. My FB Page is a music blog – mostly posting new songs from Soundcloud or YouTube, some pictures, even fewer text only updates. SInce the ‘## People Reached , ##%’ data has become visible to admins for each post, several Page admins also noticed the ‘Show in News Feed’ option (hover over the Like button to see it in the drop down list). We’ve been asking our fans to make sure they check that option so they get our updates; and to help spread the word to their friends. If fans select the option for our page to show in their feed, does that ensure they see ALL our posts? Or is EdgeRank going to continue to interfere? I don’t use my personal page much, but if I like a Page, I want to see what they post! Lots of fans have made similar comments – they want to get all my posts. The current percentage of fans who see my posts range from 14% – 35%. Pre-Timeline it was about double that. I have a lot of passive fans – they listen to the music but don’t always like or comment. They shouldn’t have to take action every day just so they can continue to receive something they have already indicated want when they liked my page. Facebook infuriates me with its assumptions of what’s important to me and my fans. There’s so much guff written about social media – this is one of the best SM articles I’ve read for a long time. I really gleaned something useful from it. Thank you. I feel like I’m being quizzed at school. I didn’t consider the ‘weighting’ between all the different elements and the impact it has on how FB ranks your page. Like many things, once you know the simple formula, it can make a massive difference in your results. I’ve started experimenting to see what happens.